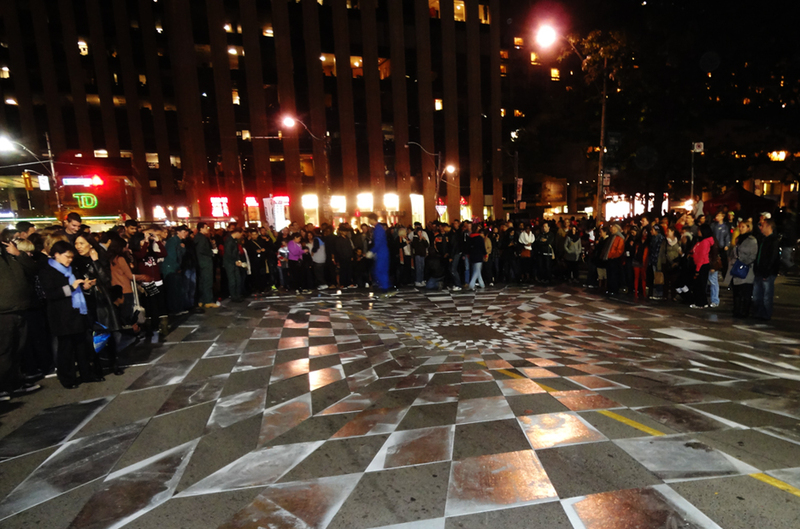 So last weekend Toronto held Nuit Blanche but I can say now it was more like Nuit Blah! We left on our bikes just after 9:00 pm with a pseudo plan on where we wanted to go, hoping that our travels would bring jaw dropping art that would change the perspective on how we run (ruin?) our lives and the beauty contained therein. How does the joke go…. This joke above describes exactly how I feel about Nuit Blanche. How many people and corporate sponsorships does it take to whore out our beautiful city in a night of public intoxication and douchebaggery? Answer: Apparently tens of thousands! So we looked for hours for something redeemable but it felt like mission impossible. 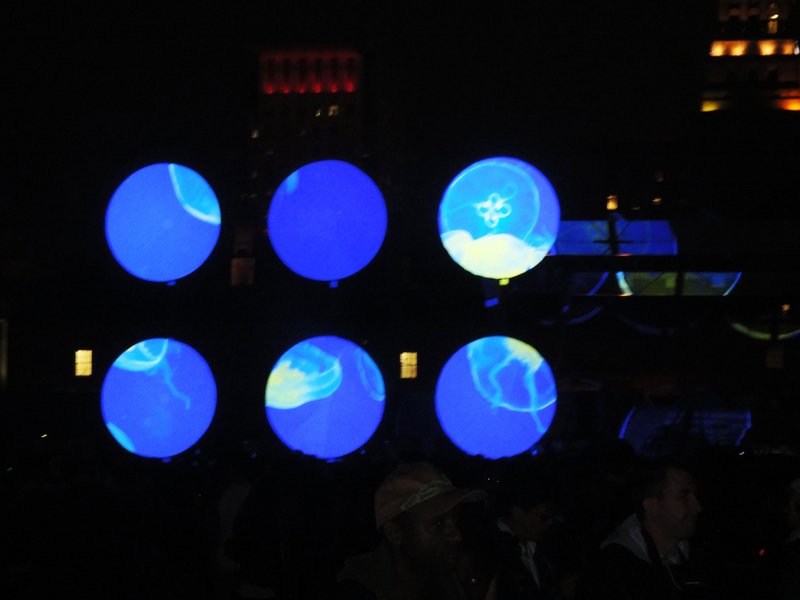 The only highlight of the evening was the roaming rave and zombies, which weren’t even part of Nuit Blanche. 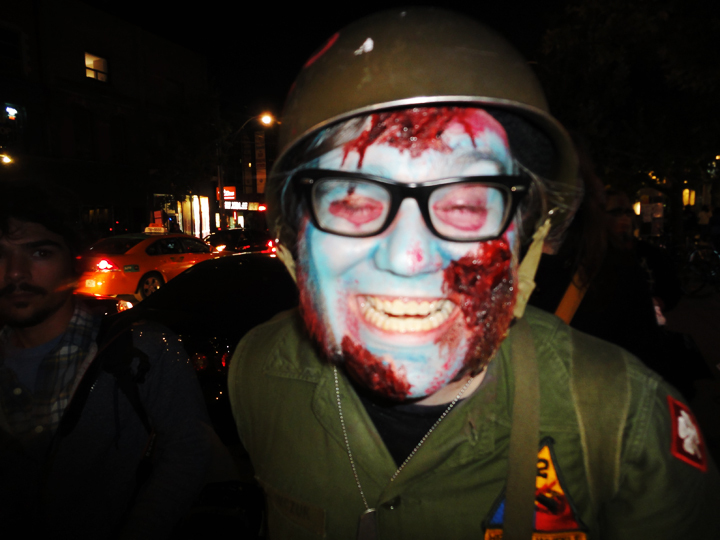 Around midnight we headed back home and the only thing alive walking the streets were the zombies. Next year I will have my own Nuit Blanche with a good book in my hands. Hmmm, maybe I should project that from my condo into the sky. My question is…. Who wants to be my corporate sponsor?